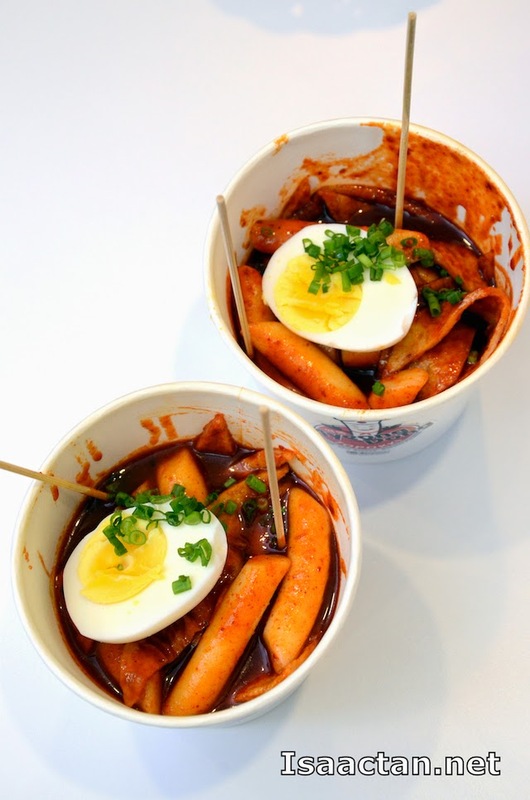 Have you heard of the Korean Topokki (Korean rice cakes)? Well, I've tried some in the past, and it has always been as a side dish in some Korean restaurant. 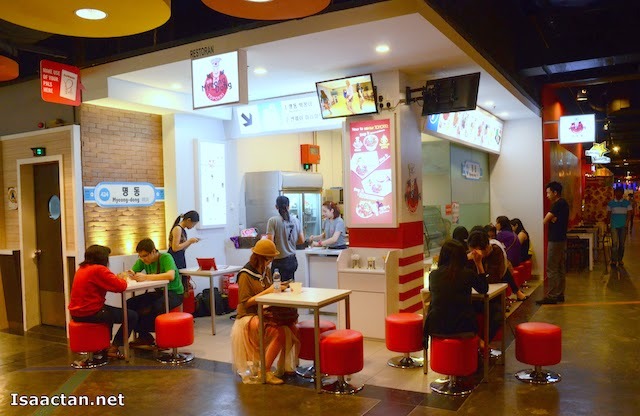 Introduing Myeongdong Topokki, a new outlet in Asian Avenue, Sunway Pyramid, a Korean street food restaurant specializing in Topokki. 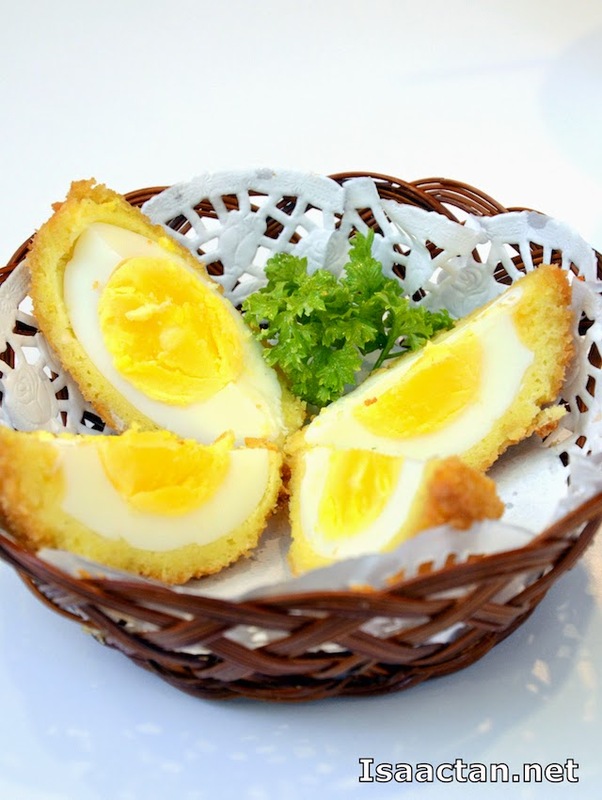 Yes you heard it, no longer do you have to go dine in at larger restaurants just to try out this delectable snack. 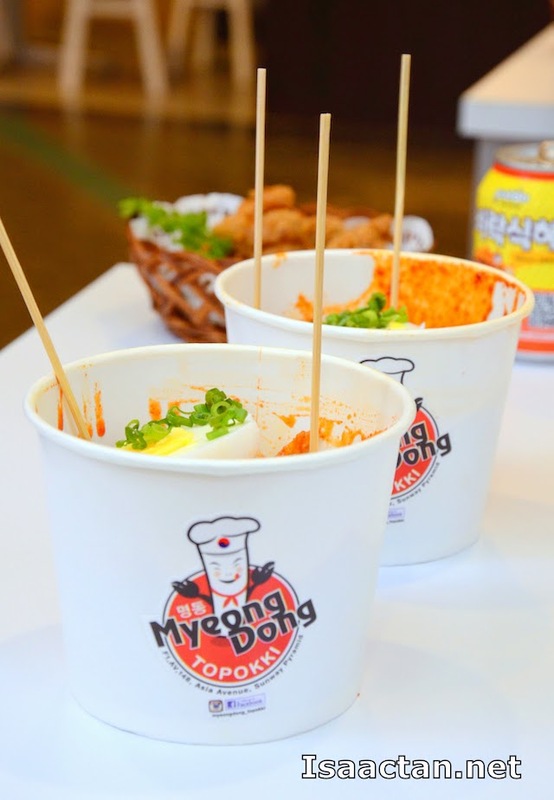 The location of Myeongdong Topokki itself is rather strategic, with a steady stream of diners there to try out their topokki and other korean street snacks. We had ample space to sit even though the whole restaurant actually only took up a corner. Check out below on what we had for dinner that evening. The whole restaurant concept models itself after the Myeong-dong subway station in Korea. 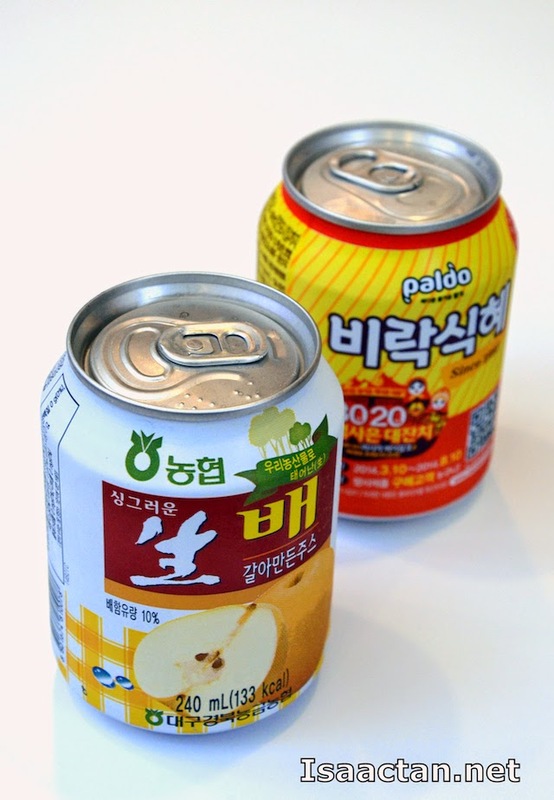 Before digging into their main topokki dishes, we were first served with some canned drinks imported from Korea, namely the Rice Punch and Pear Juice. I must say I took a liking to the rice punch drink, going really well with the Tempura Eggs that came as 'appetizers' for better things to come. Myeongdong Topokki serves top of the class delicious topokkis if you ask me. I just could not get enough of these Korean rice cakes, being really chewy, served inside a cup of hot home made thick sauce and sliced fish cakes. 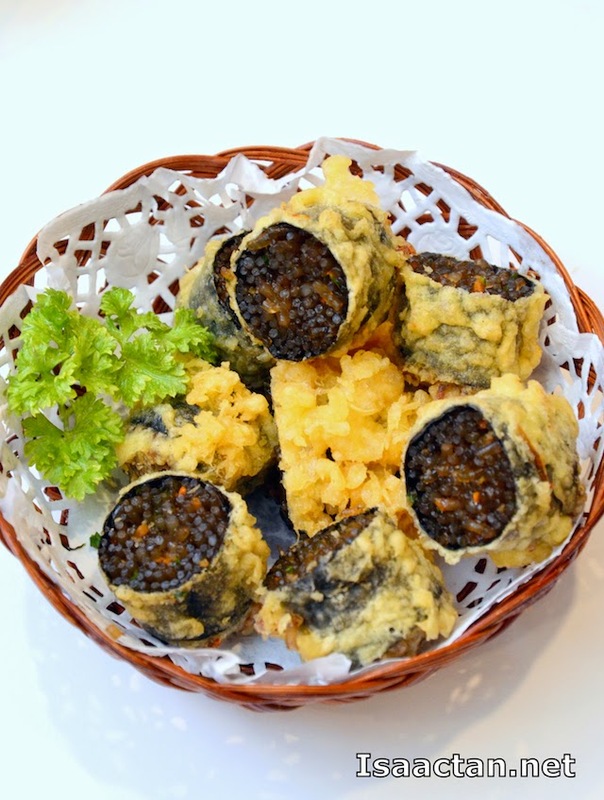 They serve two versions of these topokkis, the original and the Challenge version, one being a lot spicier than the other. I liked both of them, but my preference would be the spicier Challenge version due to it's ability to make me sweat. Good stuff here, with the sauce being the perfect companion for many of their other snacks on the menu. Other than their topokki, I can imagine myself coming back here just for their Kaarage Chicken. 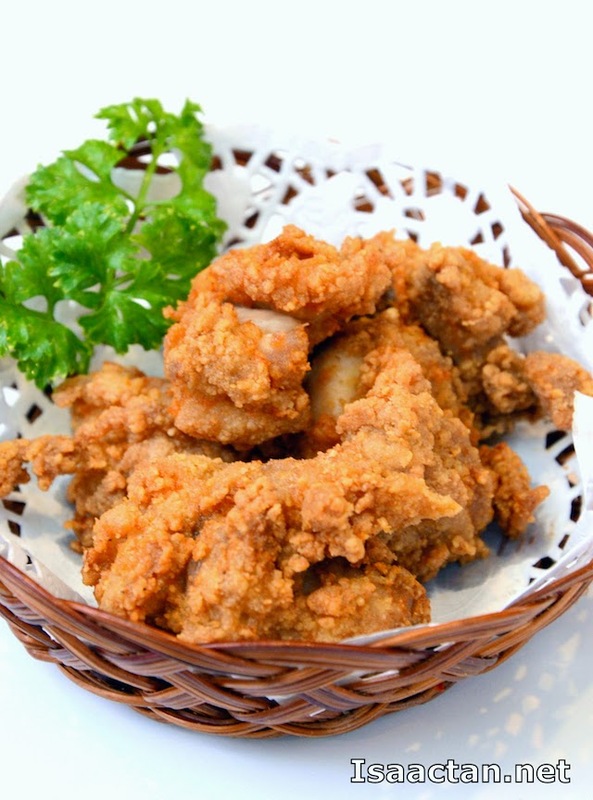 The chicken was crunchy on the outside while being juicy and tender inside. I think it's due to the spices that keep making me reach for more to pop into my mouth. 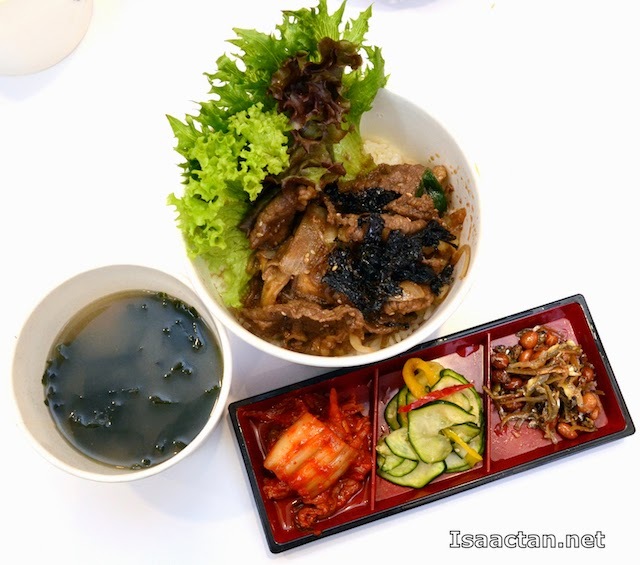 Being a fan of these Korean beef, I was pleased when the Bulgogi Daebap Set was brought out. The dish had these BBQ Beef Slices toppings on a big bowl of Korean rice. Each slice of beef was marinated to perfection, giving out that flavourful aroma and taste, almost melting inside your mouth. Served with a bowl of seaweed soup & 3 mini banchans, I finished the peanuts with anchovies, leaving the pickled vegetables and kim chi for my partner. Can you imagine a mouthful of glass noodles with each bite? Here at Myeongdong Topokki, they had these glass noodles (Kimali) wrapped in seaweed, and deep fried with tempura, creating a rather nice combination of softness and crunchiness in one dish. 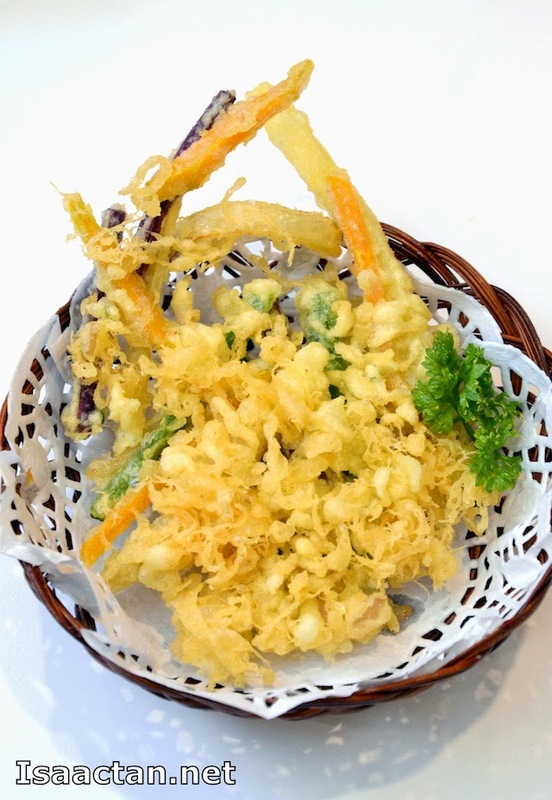 Not a big fan of tempuras, the Mixed Vegetables Tempura here would be your typical fare of crispy tempura wrapped vegetables, served in a basket. It did help though to dip these in the topokki red hot sauce for that extra flavour. For the health conscious folks, do try out their Urban Sarada aka Urban Salad. Refreshing and uniquely tasty, with the sweet and zesty pineapple dressing, even a meat lover like myself could fall in love with a salad like this. 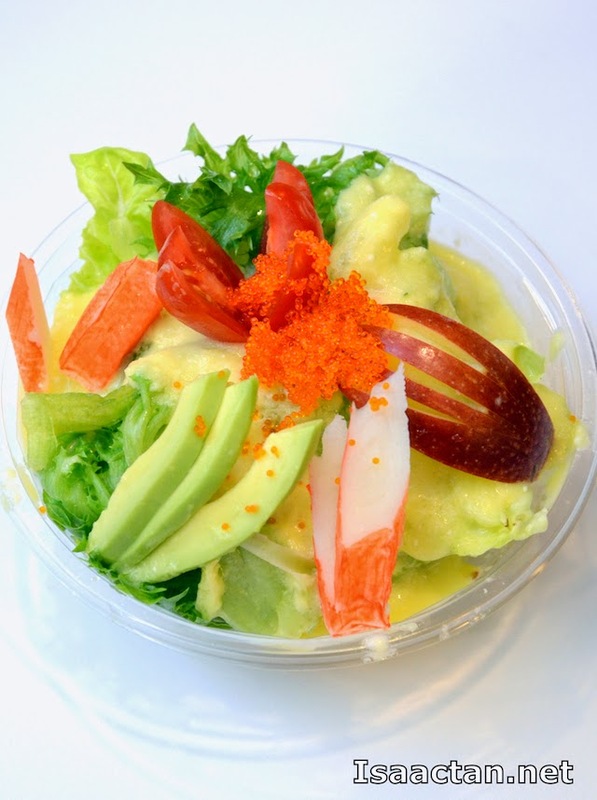 Inside, it contained ettuce, cherry tomatoes, sliced avocados, apple slice, crab stick, with ebiko sprinkled on top. Good stuff I tell you. If you have not tried them out yet, by all means, do drop by Myeongdong Topokki @ Asian Avenue, Sunway Pyramid the next time you're out shopping and feel like getting some nice Korean snacks. 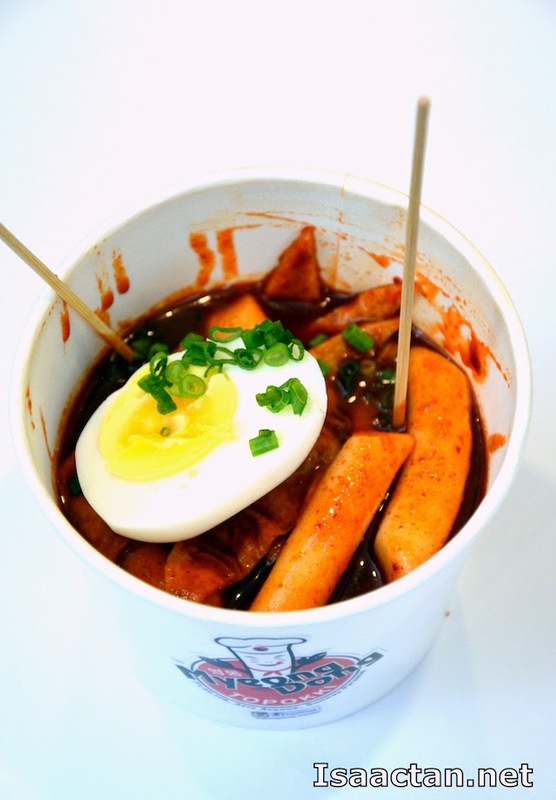 Be mindful the topokki can get really spicy though, so be ready to gulp down lots of those Korean juices! I like!!! !...as long as no kimchi! Hehehehehe!!!! Topokki looks so tempting. If pork-free/halal I want to try it.